The Khekarian Emperor demands a sacrifice. That sacrifice must be Chiddran. That sacrifice must be royal. Emperor Kyhlin is determined to put to death war hostage, Chiddran Princess Shalsey, for the attempted assassination of the Imperial Son, his heir. accept the blood of her people. he will never forgive himself. If you want to download a Kindle version of this book, but don’t have a Kindle, you can download a FREE Kindle reader for you PC., smartphone or tablet. Click HERE. To see reviews, click HERE. For a sample of what’s within, click the link below. I’m so happy for you, Allyson. Your works and success encourages me to work harder. Wish you a wonderful launch by then. Oh! The cover; it does have a come-get-me touch. Love the look face of that man (right?) on the cover. Thank you again, Uzoma. It’s wonderful to know that my own efforts encourage another – you already write so well. I enjoy reading your work. I just purchased The Kings Sacrifice and can’t wait to read it.. What a birthday present to myself and it was published on my birthday..
Marie – A most wonderful Happy Birthday to you! I am so thrilled, what wonderful timing. 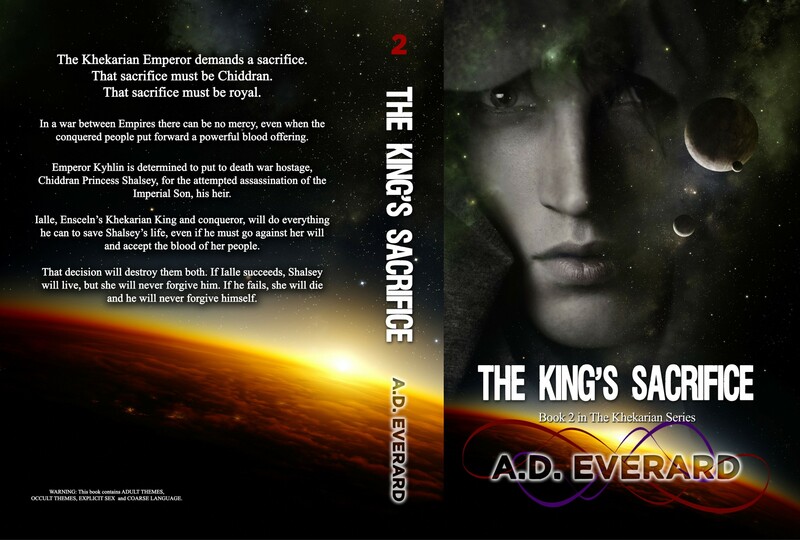 Please know, I have not posted the release yet as there has been a formatting issue with The King’s Sacrifice – minor – a spacing between paragraphs. The correction is in place and I am waiting the 12 hour wait for publishing. If you don’t like the spacing, I believe you can download again (I have been so frustrated with the delay). Thank you so much, I do so hope you like it. A big hug, and a champagne glass held high to you. Thank you, my friend.